It’s time to pull your head out of the sand; you need to deal with poor performers! Sometimes it is uncomfortable to deal with things you would rather avoid, but there is no advantage to delaying the inevitable. If an employee is not stepping up to the mark, as a manager, you must take action up to termination. But, do you actually know why you have a poorly performing team member? This may seem obvious, but before you act, you need to be able to answer that question. Where are you getting your information from: colleagues, office gossip, gut feeling or irrefutable data? Is the employee failing to produce results? For certain jobs, such as in sales it is much easier to determine if targets are being met. But regardless or the type of job, it is imperative to measure and document performance. Does the employee make a lot of mistakes? We are human, and all make mistakes. However, what should be questioned here is the frequency of employee errors. If the employee makes substantially more mistakes than everyone else that’s a red flag. Does the employee take a disproportionate amount of managing? As a manager you have several people on your team, all of whom you must supervise. Therefore it is it is important to have team members that can follow instructions and work independently. If one employee requires more “supervising,” consider why. If you answered yes to one or more of the above questions then, chances are you have a poor performer on your hands. So, what are the next steps? How do you deal with the poor performer and coach them to improve? As you consider the above questions find your answers in objective data; you want to avoid allowing emotions, pre-conceptions or gut feeling to color your judgment. This makes it easier for you as a manager to relay this information to the employee in question. Don’t make it personal. 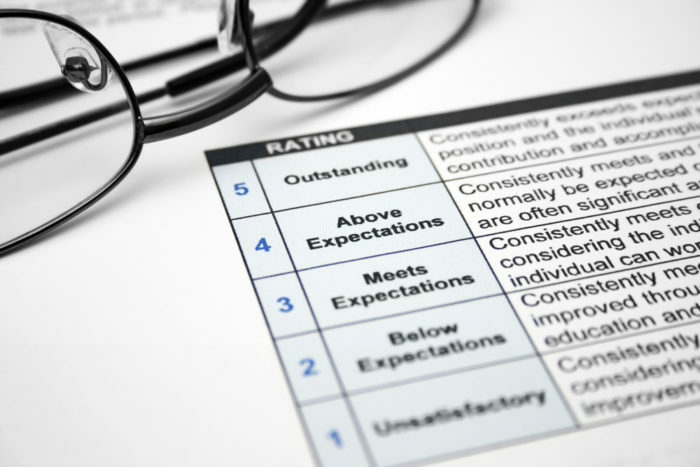 Most companies have some formal performance review process in place. But not every manager is diligent or as professional as they should be in following through. In order to have the data on which to base your performance decisions, you should make notes of both successes and performance issues throughout the year for each member of your team. This will provide you with the necessary information to assess the individual contribution and give you the examples you can use in discussing performance with each person. Done properly, performance reviews also provide a basis for comparison, as well as to alert your employee to what they do well and what needs improvement. Is this behavior uncharacteristic of the employee? Perhaps this is an employee that has been working with you for many years and their performance has only just taken a nosedive. Therefore the poor performance is uncharacteristic and most likely, explainable. Is the employee dealing with unusual issues at work or experiencing some personal traumas at home? As much as everyone would like to leave their problems at the door; this is not always possible and people dealing with serious problems in their personal lives may find it difficult to focus. Has the workload of the employee suddenly changed? A decrease in the quantity of work can have an effect on the employee’s ability to stay focused or motivated, as they may feel as though they are being edged out. Likewise, a sudden increase in workload may also hamper an employee’s ability to prioritize tasks and will ultimately disrupt their workflow resulting in tasks not being completed in a timely manner. Has the focus of the employee’s work changed? Perhaps as a result of a departure, the employee in question has picked up some of the slack and it’s not work they know how to do or how to do as efficiently. Or perhaps the employee has been moved into a new job with little or no training. Or it’s simply a job for which they are not suited. In most of these instances, the key to resolving these issues is — you guessed it — communication. Sit down and have a conversation with the employee. Relay your worries about their performance and have them describes their concerns. If it’s a new job with too little or no training, it’s your obligation to provide it. In the case of work overload, assess the demands in comparison to the obligations of others on your team. You may discover that indeed the work is being distributed unequally. At the conclusion of this conversation, you should have a better understanding of the situation and be able to assess what steps to take. It may turn out that the employee doesn’t have the talent or the motivation to do the job. Whatever you find, be sure to document it, and document the corrective action. Depending on company policy, a formal improvement plan may be required. At this point you must follow-up, providing feedback on a regular basis. Use this review to ensure that you correctly diagnosed the reason for poor performance during the first review. If you diagnosed the problem correctly, spoke with the employee, but their performance has still not improved, then you are left with no option but to initiate termination proceedings. However, if results are starting to improve, this review period can be used to reinforce the employee’s renewed good performance acknowledging their efforts and setting new goals so as to continue in the upward trajectory. Set up additional meetings with the employee so that you can continue to support and monitor their progress. Just as you should for every member of your team, be sure to recognize their good work. It should be apparent by now that there are many reasons for poor performers. Be careful not to jump to conclusions and assume the poor performer is lazy or unmotivated. Take time to talk with your employee and isolate the issue. With a bit of cooperation and effort from both sides, you’ll be able to resolve the problem and turn a poor performer into a valuable and productive member of your team.